So in January 2006 began the ambitious project to transform the faded out inn in a magnificent condo-hotel. During the 10 months process, everything was completely redone: the exterior and interior, the roof, the reception, the suites, the dining room and the health center, which now offers the baths experience (sauna, hot tubs, Nordic shower). 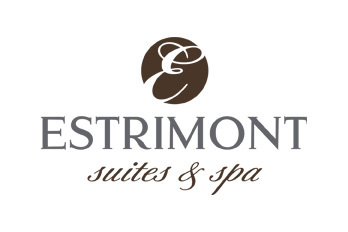 In November 2006, the dream of Estrimont Suites & Spa was finally realized, the hotel was fully operational after $7 million investment. The tourists enjoyed a new attractive offer. On May 26, 2007, only eight months after the opening of the hotel, a major fire destroyed the central part of the hotel including the reception, the bistro, the dining room and the health center. Without delay, the management and employees were mobilized to ensure the recovery of the hotel. On January 17, 2008, less than eight months later, the hotel was reborn with an improved offer for the customers. With the reconstruction, the management decided to improve the service offer of the hotel to please even more the customers. They can now benefit of 14 treatment rooms with massage, body treatments and facials, the spa experience with hot tubs, swimming pools, sauna and Nordic shower, a dining room much more fenestrated, a lively bistro and a more welcoming reception. For businesses, a new 8000 ft2 convention center was built with 10 meeting rooms, including five with offering great views of Mount Orford. Since its opening, the four-stars resort hotel knows great success with the tourists and business clientele. An all-suites hotel with a spa oriented for couples and business conferences. Baths including: four whirlpool baths, a Nordic shower, a sauna, a relaxing yurt, a cold bath, an indoor salt-water pool and a 3-season heated outdoor pool.